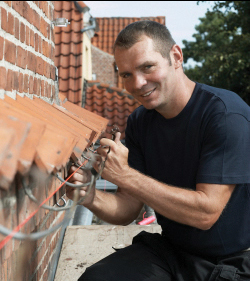 Rain gutters have to be installed or repaired accurately by trained rain gutter installation specialists. Gutters that don’t slope the correct direction, they’re not in the suitable location to grab rain, or have deteriorating or corroded spots on them sooner or later bring about destruction to the roofing materials, the building itself, or even the foundation. 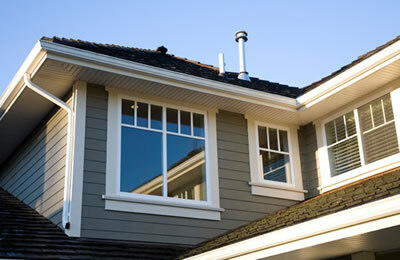 Rain gutters are an important and indispensable item for preserving your home. During storms or normal rain, gutters work to drain the water away from your property and help you stay away from expensive water damage. A correctly mounted and preserved rain gutter system can save hundreds and even thousands of dollars in foundation, siding, fascia and roofing restoration over the life span of your rain gutters. Though you most likely don't think about it much at all, there is actually a huge variety of both rain gutter varieties and materials on hand when it comes to choosing what’s best for your home. Seamless, bonderized, copper, aluminium, steel...these are only a few of the many choices on hand. When you're thinking about which roof gutters to install, keep care, type and materials in mind. You'll need a kind and color that best harmonizes with the décor of your residence, but also contemplate required care and the optimum materials for the job. Vinyl rain gutters are less expensive in the beginning, but they twist, fade and, for the most part, don't stand up to weather as well as aluminium, steel or copper. Seamless copper & aluminium gutters have less leaking, distortion and a greater volume for water disbursement. Bonderized steel, though stronger and holds up to ladders and other equipment better than some other gutter materials, doesn’t come in a seamless variety and is still predisposed to rust. With our years of experience, Edgewater Rain Gutter can assist you to choose which style, color and variety of gutters will not only increase the beauty of your residence, but shield it for the long term as well. Call Edgewater Rain Gutter today and let us help you select the rain gutter system that best for you.